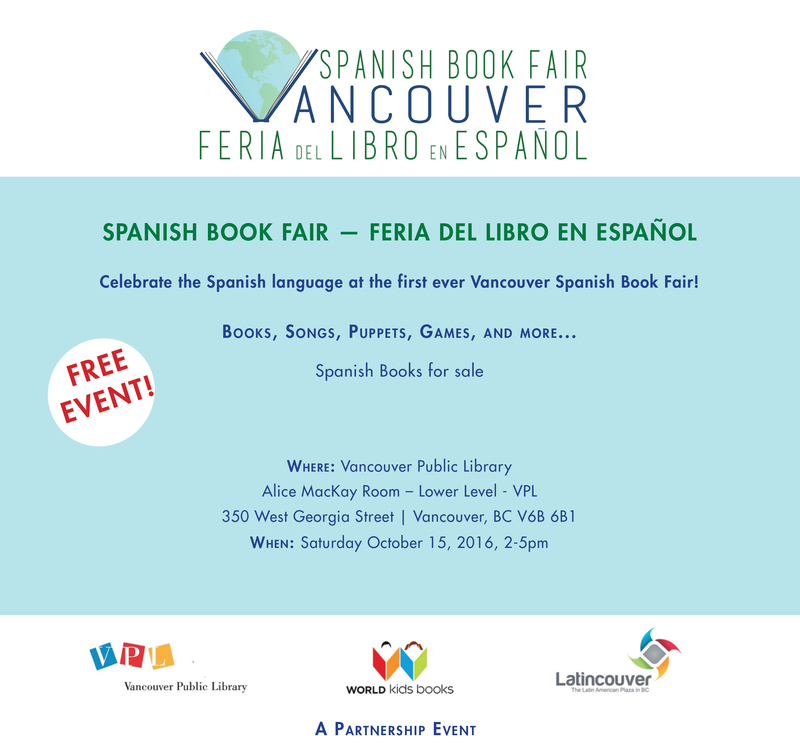 Celebrate the Spanish language at the first ever Vancouver Spanish Book Fair! An afternoon with literature, authors, musicians, plays and word games for all ages. 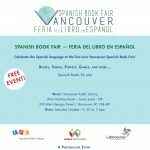 Ven a celebrar el idioma español en la primera feria del libro en español de Vancouver! Una tarde plena de literatura, autores, músicos, teatro y juegos de palabras para todas las edades. Why a Spanish Book Fair? “Since I arrived from Argentina in 2003, I felt a lack of resources for both Spanish speaking families looking to maintain their mother tongue and those wanting to learn Spanish as a second language. “I strongly believe that we must ACT to keep our Spanish alive in an English speaking province. It’s our responsibility to express to our children the joy of the language, so they too are able to connect with our culture in a positive and inspirational way. “To advocate for this, I’ve been telling stories and leading workshops in Spanish for people of all ages at Public Libraries, Family Places, Spanish Fairs, Storytelling Festivals, and Public Schools. I’ve also been focused on writing stories, games and activities to encourage creative thought and play in Spanish for publications like Somos Colombia magazine, Milenio newspaper, and Sección Latina Directory. Hope to see you all celebrating our delightful language!